Sarah Manning + Jessica Ackerley, and Rachel Z. $50 General—General admission seating. Access to cocktail reception: beer, wine, and signature cocktail and hors d'oeuvres included. $100 VIP—Preferred reserved seating. Access to cocktail reception: beer, wine, and signature cocktail and hors d'oeuvres included. $1,000 Sponsor—Premium reserved VIP seating for 10. beer, wine, and signature cocktail and hors d'oeuvres included. Includes gift package featuring FP books. Name recognition on all digital and print materials. The Lower Eastside Girls Club breaks the cycle of poverty by training the next generation of ethical, entrepreneurial, and environmental leaders. Girls Club members overcome adversity, perceive opportunity, develop self-confidence, make ethical decisions and healthy life choices, thrive academically, embrace leadership, and have the ability to enter college or the workforce as fully prepared and connected adults. 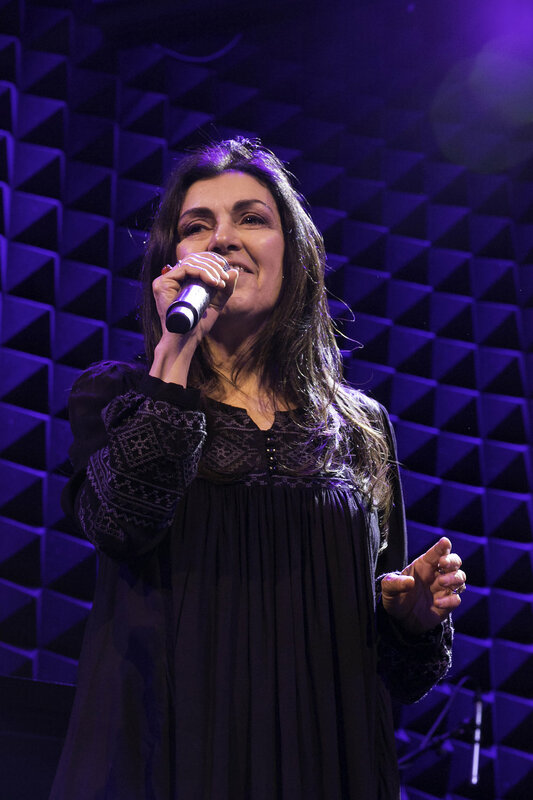 Rana Farhan fuses classical Persian poetry with contemporary jazz and blues, erasing all borders and uniting these two distant cultures through music. Candice Hoyes is an impassioned vocalist, public speaker and educator, and has written for publications including the Los Angeles Review of Books, Columbia Journal of Gender and Law, and Blavity. As a public speaker, Hoyes is honored to have delivered a 2017 TED Salon Talk including a live performance, and has spoken on international platforms including Music @Google, the Schomburg Center for Research in Black Culture, Dropbox Artist Spotlight (for which she was the first), LinkedIn Artist Spotlight, Left of Black, Lawyers Committee for Civil Rights in Law, and the Harvard Alumni Association. She has led educational initiatives and taught across the US including Jazz at Lincoln Center, United Nations School, as well as numerous museums, cultural centers, and public schools for all ages. She has currently become an endorsed artist by Earthworks High Definition Microphones. Sarah Manning is a saxophonist and composer. She fights for creative sustainability by building empathy between artist and fan through performing, writing, and speaking. She has released four critically acclaimed albums and currently leads the band Underworld Alchemy. Her most recent release, Harmonious Creature (Posi-Tone 2014) received 4 stars in Down Beat Magazine and was chosen as a top ten Jazz album of 2014 by the LA Times. Jessica Ackerly is a composer, improviser, and bandleader.